Our shop is small but MIGHTY! We have a lot of fun during events like Author Readings & Signings, Children’s Story Time, Poetry Nights, and more! For more details about current or previous events at the shop visit, our Facebook page. 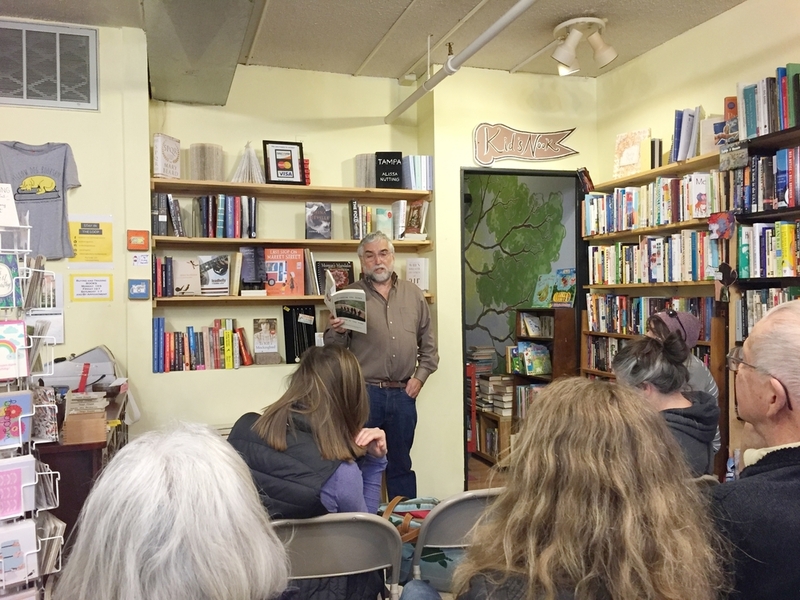 We love hearing the words of authors, both from within our community and outside it at our author readings. The Next Weather Reading Series (arranged by Marc McKee), is one of our best attended events featuring a duo of writers at each reading. Visit our Facebook page for more information about attending an author event. 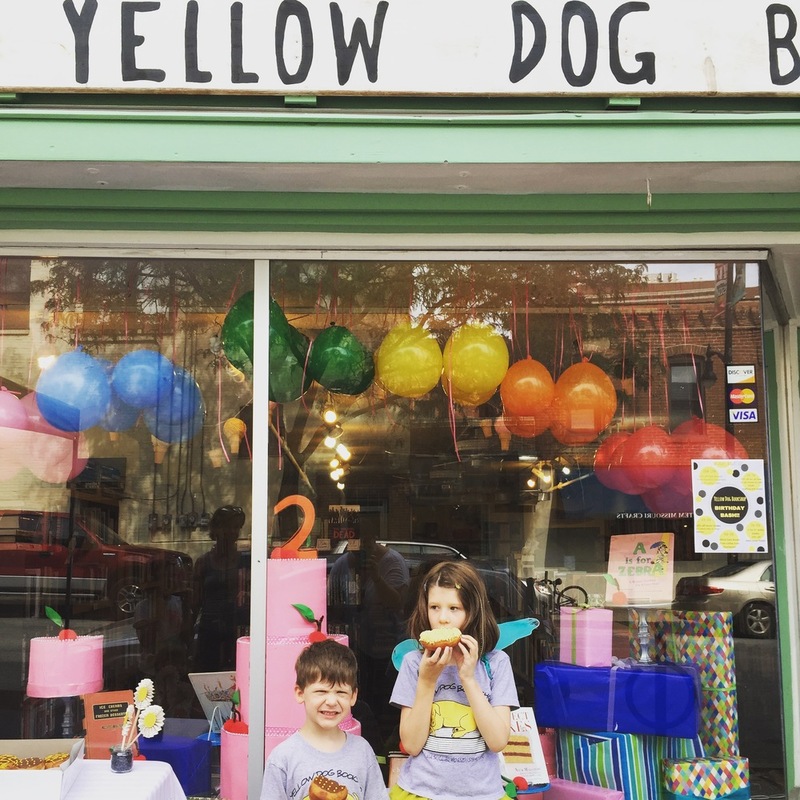 Interested in having an event at Yellow Dog? We aim to have at least one Story Time a month… always on a Saturday. We want to create a relaxed environment where kiddos can feel comfortable asking questions, shouting ideas out, and even getting up to point at something exciting in our story. Kiddos aged 2-9 will have the best time, but there are no age constrictions. Sometimes we rearrange things due to a football game (Go Tigers!) so be sure to check out our Facebook page for the most up to date Story Time event dates. Our location is great for participating in events in the District. We love Living Windows, where the store fronts come to life! Harry Potter, the Peanuts gang, and even Calvin & Hobbes made a brief appearance in 2014 where we won Most Humorous Window. The first Saturday in August we always celebrate our Birthday with sales, snacks, high fives, and more! More info here about all of the great things the District does.